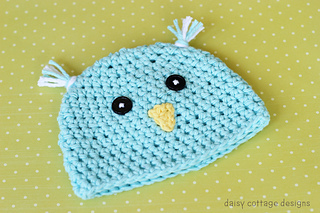 With spring in mind, I whipped up this adorable little chickadee hat. I love the results and it took less than an hour - can’t beat that. Have a friend that’s having a baby this spring? This might be the perfect gift! 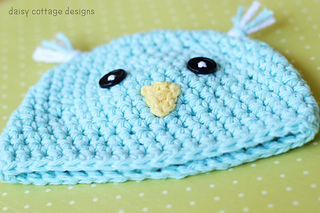 This hat should fit babies whose heads measure between 13 and 15 inches. 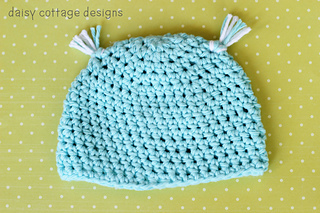 If you’re interested in this hat in larger sizes, stay tuned because another size will be available on the blog. 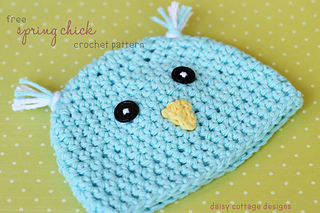 Check out other free patterns by Daisy Cottage Designs here.